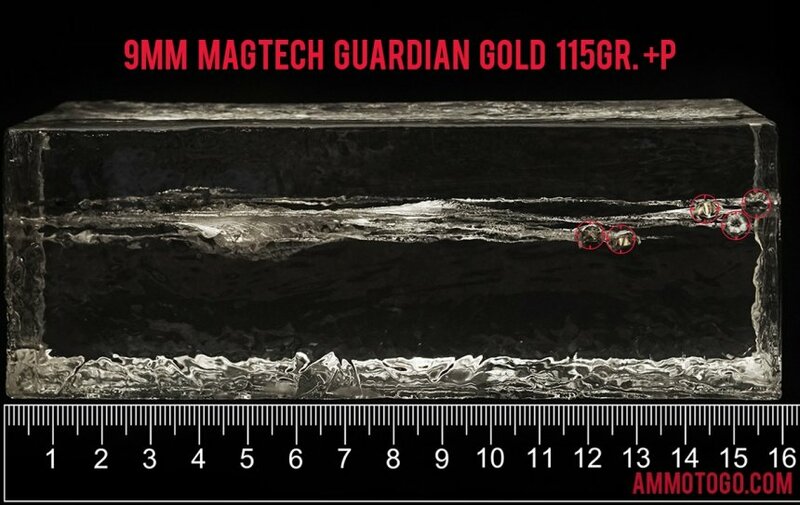 Since 1926, Magtech has been dedicated to manufacturing high quality ammunition. The company also manufactures all their own components, giving them full control of every stage of the production process. This attention to detail guarantees the quality of the final product. Only the highest quality raw materials and state-of-the-art manufacturing techniques are used to produce the high standards that have transformed Magtech into an internationally recognized name in the ammunition industry. This package contains 20 rounds of Magtech Guardian Gold 9mm Luger (also known as 9x19mm Parabellum) ammunition. Each round is loaded with a 115 grain jacketed hollow point projectile. 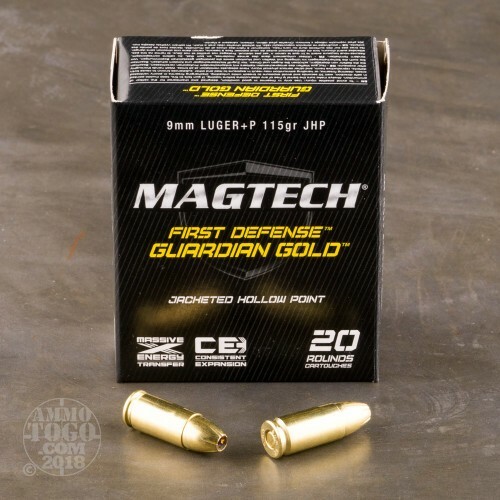 Providing powerful energy transfer, optimal penetration, impressive terminal expansion, and reliable pinpoint accuracy, these Magtech Guardian Gold loads are the perfect self-defense option for the budget conscious shooter. 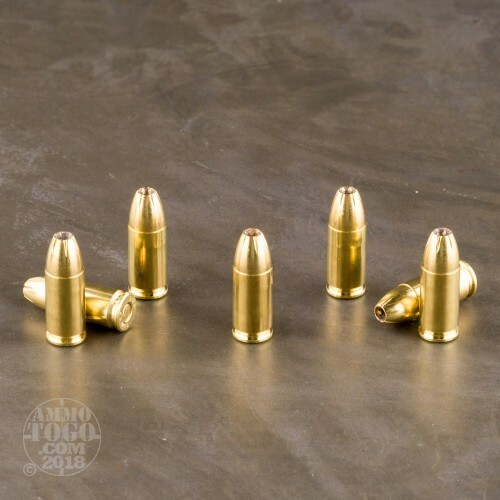 These factory fresh rounds are non-corrosive, boxer primed, and feature high-quality, reloadable brass casings. Law enforcement agencies around the globe depend on Magtech for their training and duty ammunition. All Magtech ammo meets SAAMI and CIP specifications. This +P overpressure ammunition produces consistent muzzle velocities of 1246 feet per second with muzzle energies of 397 foot pounds. We shot five of these Magtech rounds through a four-layer cloth barrier using a S&W M&P Shield. The results are detailed in the video you see above as well as the photographs. 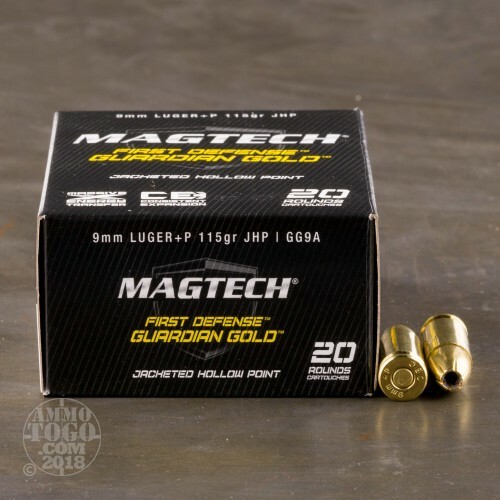 Through the charts, you should get a great idea how this Magtech ammo stacked up relative to other 9mm Luger (9x19) ammo products available to American shooters. How do the results for this Magtech 9mm Luger (9x19) compare to other 9mm Ammo? Expansion Diameter Compared to All 9mm Luger (9x19) Ammo Tested MIN 0.32" MEDIAN 0.50" THIS AMMO 0.58" U.S. dime MAX 0.90"
Penetration Depth Compared to 9mm Luger (9x19) Tested 0" 10" 20" 30" MIN 5.6" MEDIAN 17.7" THIS AMMO 14.7" MAX 47.5"
I like Magtech regular ball rounds but the ballistics on these is terrible not a good self defense round at all go with Federal HST tactical or Winchester pdx1 both are excellent self defense rounds.